Kathy Judd has studied and taught a variety of styles of yoga –Jivamukti, Ashtanga, Iyengar, Kundalini, YogaKids and Phoenix Rising to name a few, all of which influence her teaching. 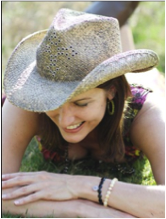 Kathy’s classes are distinguished by a deep, faithful and unapologetic spirituality, a passion for the diverse aspects of the practice, creative and vigorous sequencing, an emphasis on social and spiritual activism, humor, and inspired musical selections. Kathy teaches at several yoga studios in the Alexandria area.